More people are buying brachycephalic dogs than ever before. We look at brachycephaly in dogs, what causes it, what brachycephaly is, and what it means to be a brachycephalic dog. There has been a huge surge in the popularity of brachycephalic dogs recently. The fastest growing brachycephalic breed is the French Bulldog. With Pugs and Bulldogs close behind. If you are thinking of buying a puppy that belongs to a breed that is brachycephalic, it is very important that you arm yourself with plenty of information first. Because these are dogs with a special physiology, and special needs. In simple terms brachycephaly is a flattening of the face which many people find extremely appealing. Brachycephaly means ‘short skull’. It refers to the length of the skull from the back of the head to the tip of the muzzle. The flat faced appearance of brachycephalic dogs and puppies is due to extreme shortening of some of the facial bones. Some brachycephalic breeds, such as the French Bulldog, have very short skulls indeed, with very little in the way of a muzzle. 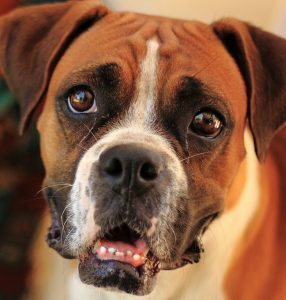 Others, the Boxer for example have a lesser degree of skull shortening. The shortened facial bones of the brachycephalic dog are caused by inherited abnormalities in jaw structure that are passed down from parents to puppies, when a short nosed dog is mated to another short nosed dog. 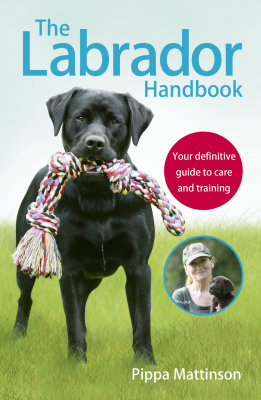 [wp_ad_camp_5]When you talk to dog owners about their brachycephalic dogs, they will often explain that the condition is ‘normal’ for their breed. But of course the breed standards were drawn up by people, and widespread brachycephaly within a breed is essentially a man-made condition created by selective breeding for ever flatter faces. There is a huge range in the degree of brachycephaly that is present in those breeds which are affected. There are also differences in the way that the brachycephaly affects different facial bones. Many brachycephalic breeds, like Pugs and Pekinese, have shortening in both jaws. 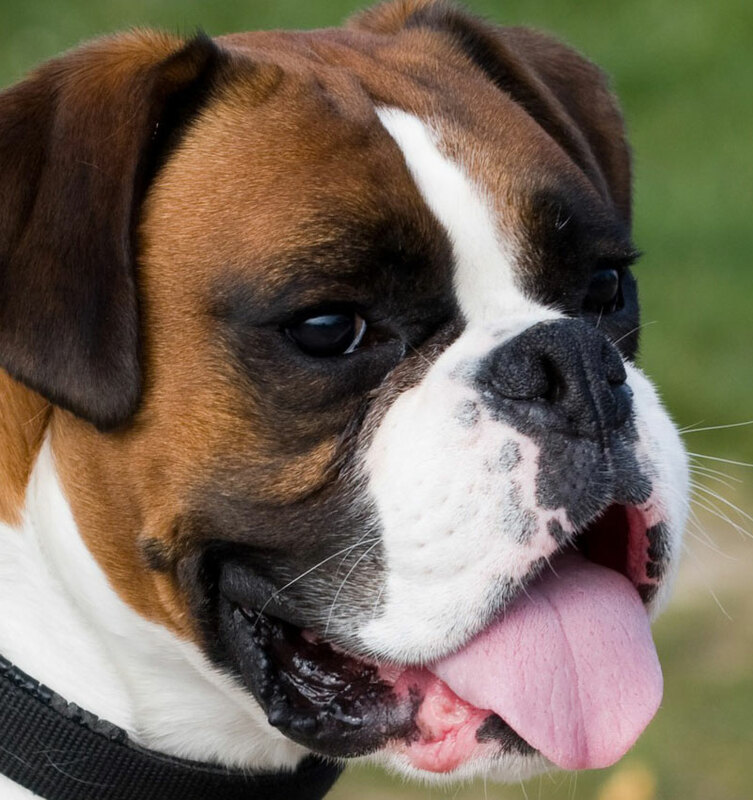 Whilst some – like Boxers and Bulldogs – have a shortened upper jaw and a lower jaw that is a normal length. Which gives the dog a characteristically jutting lower jaw. Within each breed there is a tendency for the degree of brachycephaly to become increasingly extreme over time. The skull photos to the right from the Natural History Museum in Bern show how the bulldog for example has become more severely brachycephalic over the last 50 years. An additional worrying development is the appearance of brachycephaly in breeds that were until recently, not brachycephalic at all. There are also currently different degrees of brachycephaly within each breed. Compare these three dogs, all Boxers, and notice how they vary. The nostrils are a good indicator of problems. 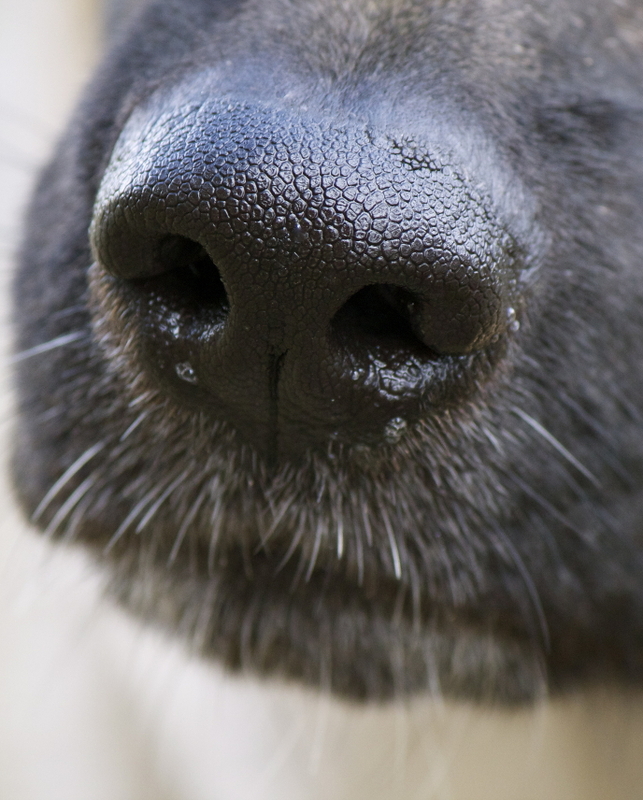 Wide open nostrils are a sign that the dog is less likely to be affected by health issues related to the shape of his skull. A feature of boxers for many generations. The dog in the middle image is more brachycephalic. The dog in the bottom image is more brachycephalic still. And a definite nose roll running across the bridge of his nose between his eyes. Right now, brachycephalic dogs are more popular than ever. The popularity of brachycephalic breeds like the pug is probably chiefly due to a couple of very different factors. The flattened face of the pug is remarkably human in appearance it creates a very baby-like features, with large forward facing eyes. Adults naturally find child-like appearances attractive. They bring out all our nurturing instincts. It is nature’s way of encouraging us to protect and support our own infants. But in fact all newborn and very young mammals generally share the shortened and softened features we love so much in puppies and babies. In brachycephalic dogs, this babylike features are retained for the lifetime of the dog. And this is part of their huge appeal. The other significant factor in the appeal of the brachycephalic dog is their activity levels. Let’s be honest, taking the dog for a three mile walk can be a bit of a drag in the winter. There is a certain appeal in a dog that doesn’t need much exercise at all. A healthy active dog can be quite a handful, especially when young, whereas brachycephalic dogs can often be relatively easy to manage, because they get tired and out of breathe more easily than other dogs. However, the fact that many brachycephalic dogs don’t need much exercise, is not really a cause for celebration. On the contrary, the reason is that these little dogs don’t need long walks, is because they have a number of health issues that compromise their ability to sustain aerobic exercise for any length of time. Let’s have a closer look at that, and find out exactly what brachycephaly does to a dog. So on the outside we get folds of skin on the dog’s face that trap dirt and bacteria, and on the inside folds of tissue that may compromise his airway. Distortions in the skull cause a range of eye problems for our flat-faced breeds. These problems are grouped under the heading brachycephalic ocular syndrome and are largely a result of the protrusion of the eyeball itself, due to an overly shallow eye socket. These shallow sockets give the dogs a very wide eyed appearance but the cost to the dog is high. You can find out more in our article on brachycephalic ocular syndrome. The long nose of the wolf or dog with a normal muzzle is a very efficient radiator. Dogs can’t sweat through their skin like we do, they have developed instead, a clever method of losing heat by drawing air rapidly back and forth across the moist surfaces of the interior of their mouths. The reason panting is effective at cooling the dog is due to the surface area of the interior of the dog’s mouth, relative to the size of his body. Just like we need a large radiator to heat a large room, we need a large muzzle to cool a large dog. So, it is easy to see that if we reduce the muzzle size of the dog without reducing the body size in proportion, the dog will not be able to cool himself so efficiently. This is exactly what happens to all brachycephalic dogs. 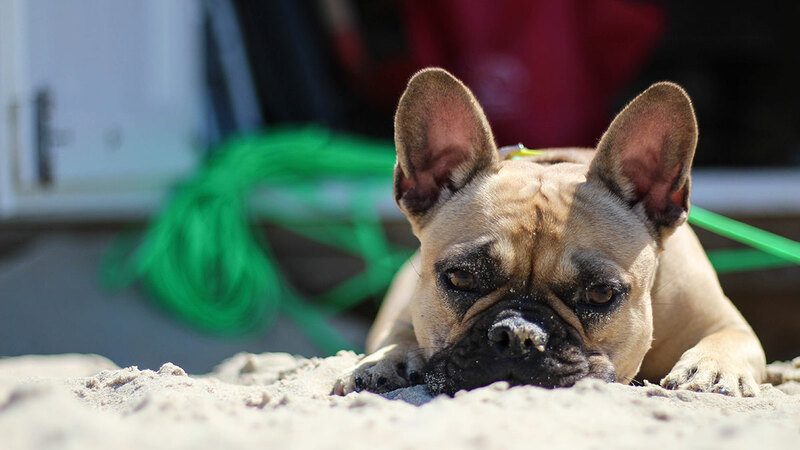 A brachycephalic dog can overheat very rapidly in hot weather or when he warms up during exercise, and it is crucial that his owner is aware of this. This makes him feel very uncomfortable and ill, and if he is not cooled sufficiently and fast enough, he may die. When you reduce the size of a dog’s jaws, you might expect his teeth to reduce in proportion. But with brachycephaly, that is not quite what happens. The bracycephalic dog does not have miniature teeth to fit his miniature jaw, nor does he have less teeth. So a jaw full of normal dog’s teeth have to be crammed somehow into a tiny miniaturised mouth. With inevitable problems of overcrowding and consequent dental decay. As if all that were not enough, what goes on further down the brachycephalic dog’s throat is the most worrying concern of all. Remember how we noted that the facial tissues of the dog are not in proportion to the shortened bones? Well what this means for the dog is that the soft palate inside the roof of his mouth is often too long for the mouth itself. The result is an obstruction of the airway by the soft palate that is potentially very dangerous, and which interferes with the short snout dog’s ability to breath effectively. Narrowed nostrils are referred to as stenotic nares. 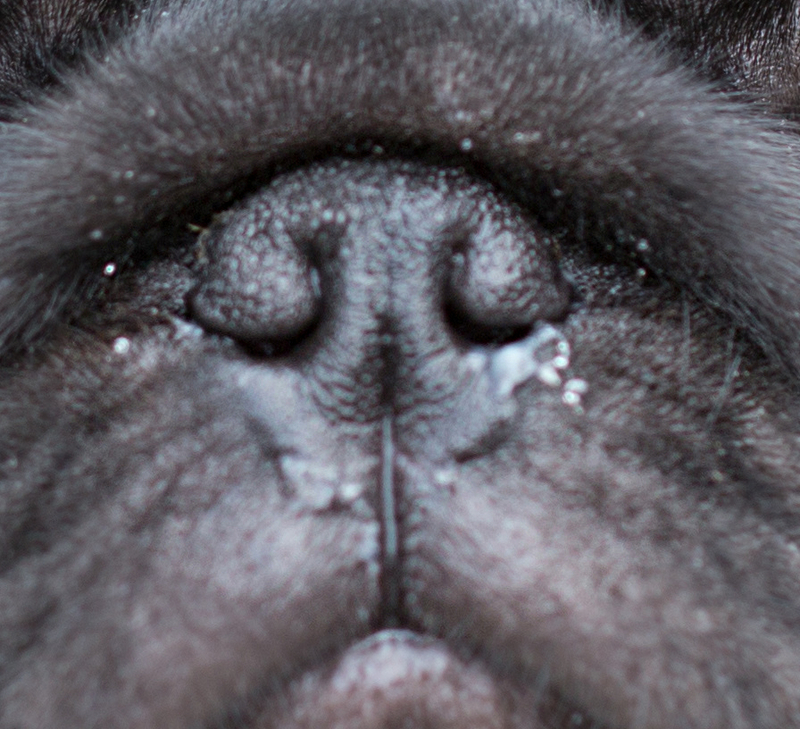 Most brachycephalic dogs have some degree of stenosis or narrowing, of the nostrils. Compare the narrowed nostrils of the these two dogs. The wide open nostrils below, are a part of the healthy muzzle of a German Shepherd Dog. Stenotic nares may be so severely narrowed that they force the dog to breath through his mouth. They inevitably impede breathing when the dog has his mouth closed or when he is eating, or carrying something in his mouth. When we decided to breed dogs with short faces, we did not manage to shorten all parts of the dog’s facial structure. What we shortened, effectively was the bones. Much of the softer facial tissues remains proportionately large or long. So a brachycephalic dog may have a soft palate the same length as a normal faced dog of a similar size. And this palate has nowhere to go. It therefore tends to hang down into the throat, and in doing so can severely obstruct the dog’s airway. But what does this collection of problems actually mean for the dog? 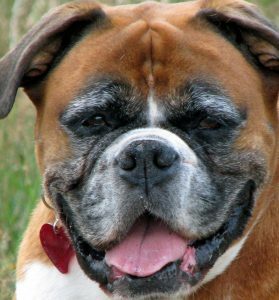 Together these problems all serve to obstruct the airway of the brachycephalic dog and cause a range of unpleasant symptoms. The earliest indication of which may simply be noisy breathing or snoring. You can see and hear an example of a dog with Brachycephalic Airway Syndrome in this Youtube Video. Please note: some viewers may find this upsetting. 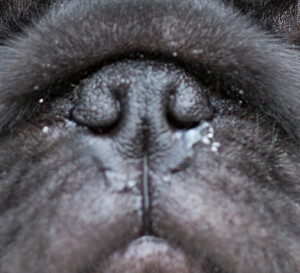 Together with abnormally small nasal passages – called stenotic nares – and abnormally small airway, this trio of defects make up the syndrome known as brachycephalic airway syndrome or brachycephalic obstructive airway syndrome. A syndrome that affects many brachycephalic dogs. A condition that in its mildest form is uncomfortable for the dog, and at its most severe can be fatal. The snorting and snoring that we often find amusing, and accept as normal in brachycephalic dogs, is actually a sign of respiratory distress, and indicates that the dog need veterinary attention. A large study was carried out in 2015 which looked at all dogs attending a veterinary hospital for routine appointments. The purpose of the study was to determine the impact of facial conformation (structure) on the health of our dogs. Each dog attending an appointment was also assessed for brachycephalic obstructive airway syndrome. 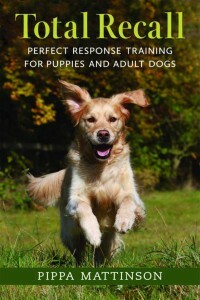 Many of the dogs were then followed up with a home study. And the results were quite shocking. In other words, the shorter we make our dogs skulls, the more likely they are to suffer from this distressing condition. There are surgical interventions that can help brachycephalic dogs. They are major operations. Surgery is not always the best option for every dog, but it is something you need to consider and plan for. This kind of surgery is not without some risk, so you’ll need to discuss this with your vet, but it may dramatically improve your dog’s quality of life in the long term. It tends to be more successful in younger dogs, so don’t wait, or put off seeing your vet. Because of the health issues that are associated with them, insurance for brachycephalic puppies can be very expensive indeed and some health conditions may be excluded. So if you are thinking of buying a brachycephalic breed puppy it is probably a good idea to set up health ‘fund’ to pay for veterinary treatment in the future. The best way to prevent the problems that beset brachycephalic dogs is not to breed puppies from two brachycephalic parents. But of course, as long as people buy brachycephalic puppies, breeders will continue to produce them. Demand creates the supply. And brachycephalic puppies often fetch high prices. One way to own a brachycephalic dog without encouraging the breeding of more disabled dogs, is to rescue one. A slower way to help these breeds is to selectively breed for puppies with longer muzzles. This could happen if the Kennel Club would set limits for minimum muzzle length on brachycephalic show dogs. Otherwise it remains in the hands of breeders themselves, who often don’t acknowledge the health issues that they are creating in their dogs. 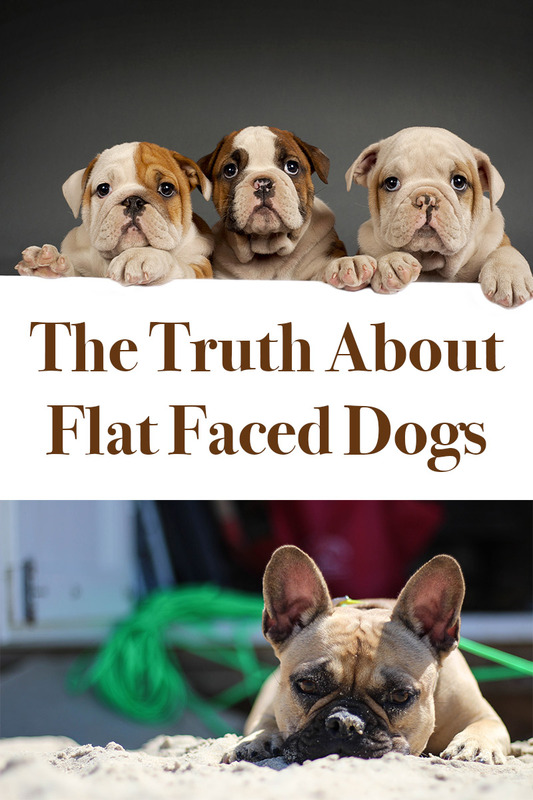 Dog lovers and veterinary surgeons have been concerned for many years about the effects of breeding increasingly flat-faced dogs. Public concerns have escalated in recent years, partly as a result of the controversial Pedigree Dogs Exposed film. Yet still the sale of brachycephalic puppies is thriving. This is due in part to some high profile brachycephalic dogs. Various celebrities have bought brachycephalic dogs, particularly pugs and bulldogs, and whenever celebrities ‘endorse’ a breed in this very public way, the popularity of the breed tends to increase. If you have a ‘public profile’ it is worth considering the impact of your choice of dog in this respect, as it can be considerable. it is important that you keep your brachycephalic dog’s weight right down. All these problems are exacerbated by obesity. So keep your dog nice and slim. Keep your flat-faced dog cool and don’t over-exercising or over-excite him. Many flat-faced dogs cannot swim or swim very poorly, so make sure you don’t leave him unattended near water, and make sure he wears a doggy life jacket where necessary. The next important factor is veterinary care and getting early treatment. Many people ignore noisy breathing because they think it is normal for ‘the breed’. But noisy breathing is not normal in any dog and should always be taken seriously. Lack of oxygen is very distressing for dogs, just as it is for people. If your dog’s breathing is noisy, get your vet to check your pet. 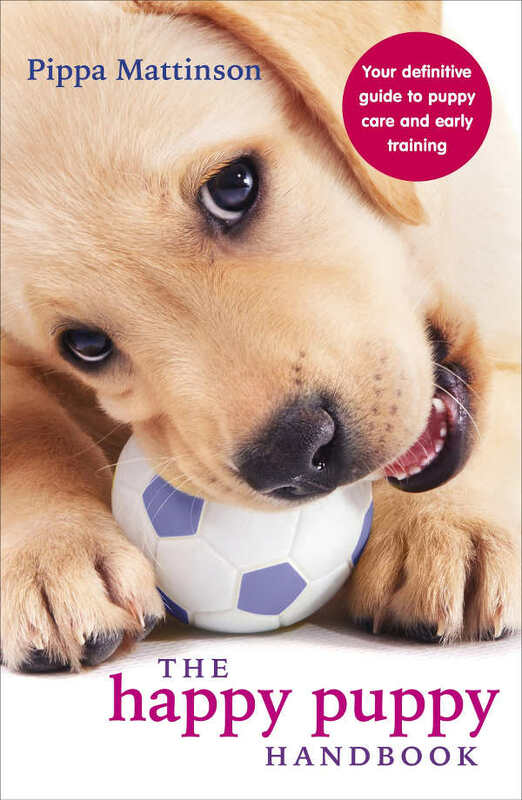 He’ll be able to assess your dog’s airway and advise on the best course of action. This may mean doing nothing for the time being. Or it may include options for surgery, now or in the future. When we busily set about breeding lots more dogs with flattened faces, we sadly didn’t stop to ask ourselves whether or not this was truly in the dog’s best interests. Many brachycephalic dogs have to endure a great many discomforts. The degree of ill health suffered varies widely from breed to breed and from individual to individual within the breeds. But all moderately or severely brachycephalic dogs have some degree of health impairment, compared with dogs that have normal facial bones. It’s a heavy price to pay for being cute. And for many brachycephalic dogs, their problems go further still. Several brachycephalic breeds also suffer from forms of dwarfism, from joint defects, from eyes that pop out of their sockets, and from brain problems. [wp_ad_camp_1]Please think hard before you buy. 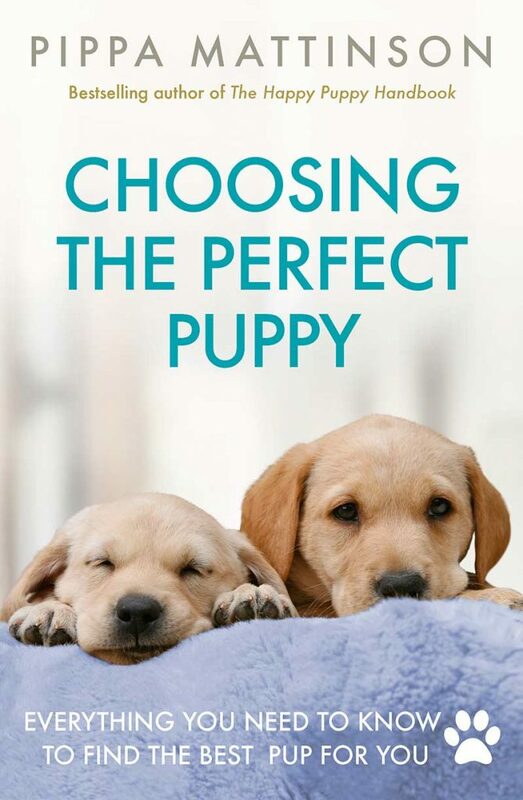 The aim of this website is to help you find, choose and raise, a happy, healthy puppy. It would be wrong of me to simply list the qualities of different breeds without drawing attention to what in some cases are the very serious issues inherent in the breed standards. For those who are fans of brachycephalic dogs and I recognise that you all love your dogs. I understand too that these dogs are lovely little characters. But I truly believe that every dog deserves a muzzle, and that every new puppy deserves a good chance of a healthy, pain free life. We had a Cavalier recently pass away at a very decent old age, who was always very active throughout her life and could almost keep up with our Border Collie in energy levels. She always had the same amount of energy as our Border. We just bought a new Cavalier puppy and she’s in prime health, incredibly active and alert, but we did significant research before buying. Unfortunately , a member of family has purchased a French Bulldog puppy , I tried to warn them of the possible health issues but to no avail . The insurance quotes were astronomical which should have alerted them, but it didn’t . I find it so sad , to see a five month old puppy who makes the most dreadful noise , just through normal breathing , and who cant enjoy a walk of more than five or ten minutes . Having just rehomed a little cross breed myself and then discovered her deafness , I know which one will get more out of living a normal life , so terribly sad for these brachycephalic dogs . Loved the article. It was very informative. I own a rescue Tibetan Spaniel. No one ever includes that breed when talking about brachycephalic dogs. I understand that they are not so common as some other breeds. However I have met a half dozen other owners of Tibbies, all of whom bought their dogs from breeders. Might be good to include a mention of that breed while discussing this issue. Thanks.